Perfect for working crankbaits in clearwater fishing situations, it refracts light exactly like water does, making it virtually invisible underwater. It lays out nicely and casts easily, just like monofilament, making it great for finesse presentation. 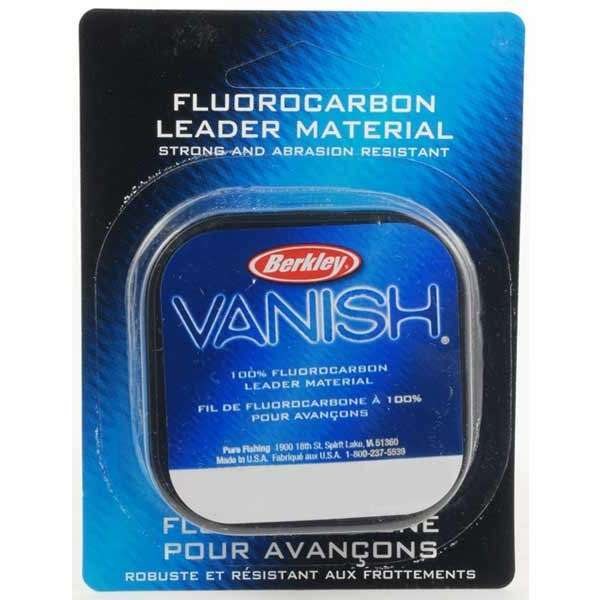 Vanish is great fishing line and nearly invisible under water. But you need to tie a different knot than you would normally use for monofilament. Leader material is little more flexable than regular fluirocarbon. I feel this is little weak when the leader got rock scratches.. I ordered this to prerig leaders. My wife got me a leader keeper to roll them on. I am too fumble fingered to rig them and do a proper knot while fishing. 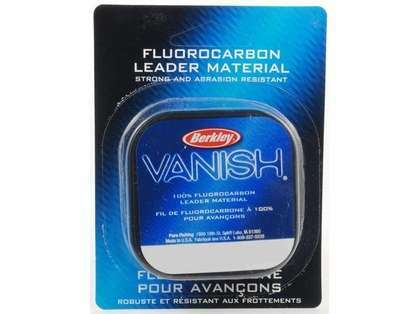 The vanish is perfect for this application for live bait rigs or for artificials. ConsNot as stiff as other fluorocarbon leaders,I imagine not as abrasion resistant.